Milwaukee Bucks forward Giannis Antetokounmpo has been named the NBA’s Eastern Conference Player of the Month for October and November. It is the second Player of the Month honor for Antetokounmpo, previously winning the award for March during the 2016-17 season. 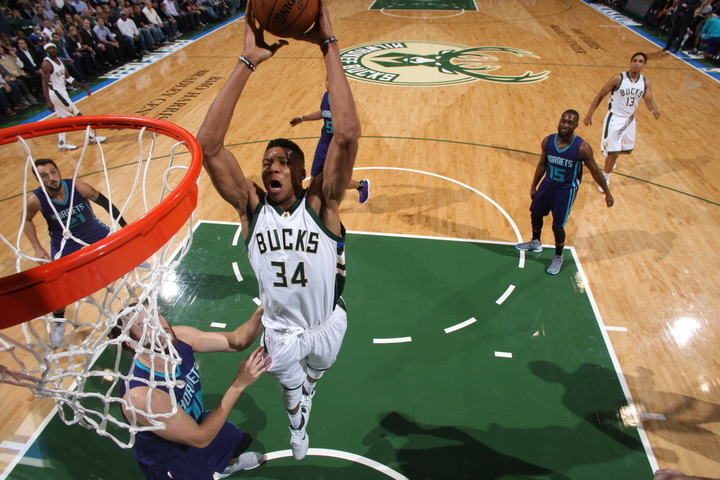 He’s the first player in Bucks history to win Player of the Month multiple times. While leading the Bucks to the second-best record in the NBA at 15-6, Antetokounmpo averaged team-highs in points (27.3), rebounds (12.9), assists (6.0) and steals (1.5) per game while shooting a team-best 57.7 percent from the field during October and November. He was the only player in the NBA to average at least 25.0 points, 10.0 rebounds and 5.0 assists per game while he ranked second in the Eastern Conference in scoring (6th in the NBA), fourth in rebound (5th in the NBA) and fourth in field goal percentage (11th in the NBA).